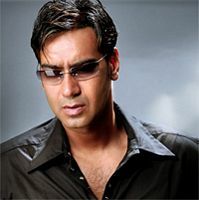 Movie Synopsis: Ashfaque (Ajay Devgan) is a boy wanting to be a Hindi film star. He starts off in a street theatra run by Sidhu (Pankaj Kapur). He finally gets a break into the film industry and also get a new name, Sameer Khan. He becomes a superstar and slowly starts to forget his roots and himself. His corrupt ways are slowly destroying his life and he move away from those he loves, starting with his wife Sneha (Vidya Balan). The movie takes a turn when both sides of Sameer are fighting him to make the right choice. Movie Review: The year 2008 for Bollywood is going to get a good start wtih this movie. The movie is well written, directed and acted. The movie keeps you in your seat and has many great scene, that are very well acted.